​Abdelbasset Abdessamad is a renowned Qur'an reciter born in 1927 in a village called Almara'za in Egypt. Abdelbasset Abdessamad learnt the Holy Quran at an early age from Cheikh Mohamed El Amir and later from Mohamed Selim Hamada. He entered the National Radio Station in 1951. The first Surah ​he recited was "Fater". ​In 1952, Abdelbassset Abdessamad was appointed official reciter to Al Imam Achafiî's mosque and then to Al Imam Al Hussain's mosque in 1985. Abdelbasset Abdessamad has left a fortune of high qualified recordings of both the chanted Holy Scripture and the recited one. He was an ambassador of the Holy Qur'an across many countries and the first president of Egyptian reciters Bar in 1984. Abdelbassed Abdessamad went to many Arab countries to recite the Qur'an in Ramadan such as the Saudi Arabia andSyria. Abdelbassed Abdessamad died on November the 30th, 1988. (Sunday 11th of Ramadan 1396 H). Omar Al Kazabri is a Moroccan Qur’an reciter and Imam. He was born in 1974 in Marrakech. His father helped him memorize the Qur’an at the age of eleven. Soon after having got his baccalaureate, Omar flew to Saudi Arabia in order to learn more about Islamic Fiqh. He enrolled in Islamic Institute of Makkah in 1997. In parallel of his studies, he was leading prayers in Jeddah’s University mosque. Later on, he went to Egypt and worked with Cheikh Ahmed Al Maassarwi on a project entitled “The Ten recitations achievement”. Back to Morocco, Omar Al Kazabri had gained a huge experience from masters of Qur’an recitation and Islamic sciences. 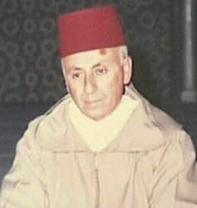 Omar Al Kazabri first led prayers in Oulfa’s mosque (Casablanca, Morocco) and earned much popularity thanks to hisrecitation of the Holy Qur’an. Omar Al Kazabri then was nominated Imam and Reciter of the monumental Hassan II mosque. Omar Al Kazabri is also known for his interesting conferences and speeches. He is nicknamed the Minbar nightingale. Laayoune El Kouchi is one of the most talented Moroccan Qur’an reciters. He was born in Safi in 1967. Cheikh Laayoun El Kouchi memorized the Qur’an at the age of 9. He is currently the imam of Al Andalous Mosque, Morocco. Fa​res Abd Rabbuh Mohammed Abbad, is a Yemeni Cheikh who is considered as one of the most prominent Quran Readers, as well as being involved as an Imam in Ali bin Abi Talib mosque, which is located in Doha Area in the east of Saudi Arabia, his melodious voice is very known in Almajd Channel TV, where he’s currently working. He was born in Yemeni Capital; Sanaa in April,12th on 1980, he’s the second child of his parent, and a Father of 3 boys and a girl. ​His interest in the Holy Quran has started since he was a little kid; therefor he’s learnt it by heart in many schools at Sanaa’s City, and he was graduated through the typical sessions, which took place in Bilal Ibn Rabah Mosque where he was accompanied by the senior Cheikhs, such as the Cheikh Fadl Morad who thought him the technique of reciting the Quran. The Cheikhs who had influenced him were very known in the islamic world, like Abdul Basit Abdul Samad andMohamed Al Mohisni. His talent of reciting the Quran started to be known, and his voice impressed many people, as it was a mixture of disconcerting and reverence, as a result, he started as an Imam of Tarawih prayers, in Bilal Ibn Rabah Mosque on 1994, and remained so for 7 years. And smoothly, his fame started spreading around the Islamic world through the huge number of his audio recordings, most notably, the whole Quran recited on 2003, which was financed by the Qadaissia Records company, and played a huge role in the publication of his performances, according to Cheikh Abbad, he also recorded a complete version of Quran, the incantation legitimacy and the poem “Nounia Al Qahtani”, that is composed of Eight hundred verses, which was recited by his own voice. In addition to that, he recorded the Introduction of Ibn Al Qayem (the Paradise Description), ”The day 2 sides reminders”, “The possession spell”, and “The magic spell”. Besides his registration of some scientific texts, he’s currently getting ready to issue “The fortress of Muslim” with a new perspective. The Cheikh Fares Abad spent many years in Saudi Arabia where he led the muslim prayers in Ali Ibn Taleb Mosque in Dhahran City for two years starting on 2006, after that he moved to Ajman in the United Arab Emirates. He’s currently working as Quran Reciter in Almajd TV. His first TV Interview was conducted in May 2011, through a program called “the Quran” which was broadcasted in Sharjah UAE Channel.